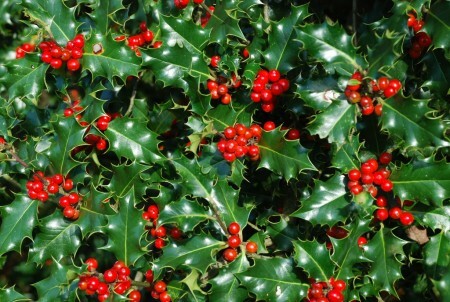 Featuring prickly green leaves and small red berries, Holly is a popular Christmas flower. Dating back to ancient Roman times, Pagans gave it to the god Saturn to promote healthy agriculture. Centuries later, Celtic priests wore Holly crowns during forest ceremonies. Today, Holly symbolises truth and is said to provide protection from negative thoughts – a great plant for the New Year! Hang a wreath of Holly on your front door to invite family and friends into your home this Holiday season. Or plant a Holly bush in your garden or balcony; they do well in the cooler Southern states of Australia.